My husband is very good with maintenance. 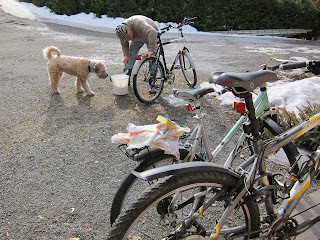 He is serious about the continual upkeep and care taking of the car, the house, bicycles, etc. He grew up in a home where hard work and zealous everyday chores were what life was made of. I am proud of him for his diligence and perseverance. I am happy that he is patient with me. There are days when I would rather put all the chores in a box and send them off to Timbuktu. I like to choose the happy part. 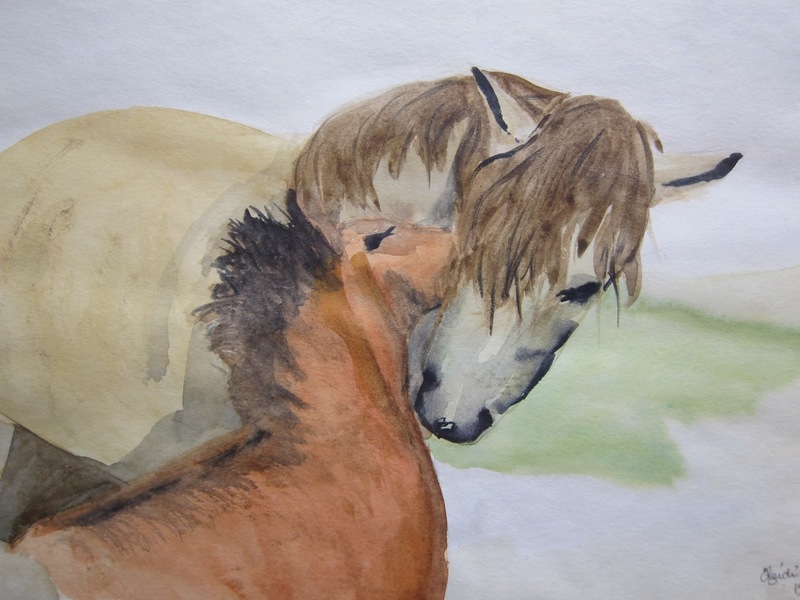 If I have an article or chapter of a novel to write, a painting to paint for an exhibition or an order, it will take precedence over scrubbing floors or mending clothes every time. Every time. There are things in life that thrill me in a way I cannot explain. E.g. studying a beautiful piece of art, reading a well written paragraph, having a historical novel bring me back in time, or finding ancestors in my genealogical work to complete families and help bind them together. Most of all, the joy I feel just being with my family is the greatest happiness of all. When I feel his maintenance is taking over our lives I smile at my husband and say joyfully, "If you can take care of me the way you do your things, I will last for all eternity." Come to think of it, he's pretty good about that, too. 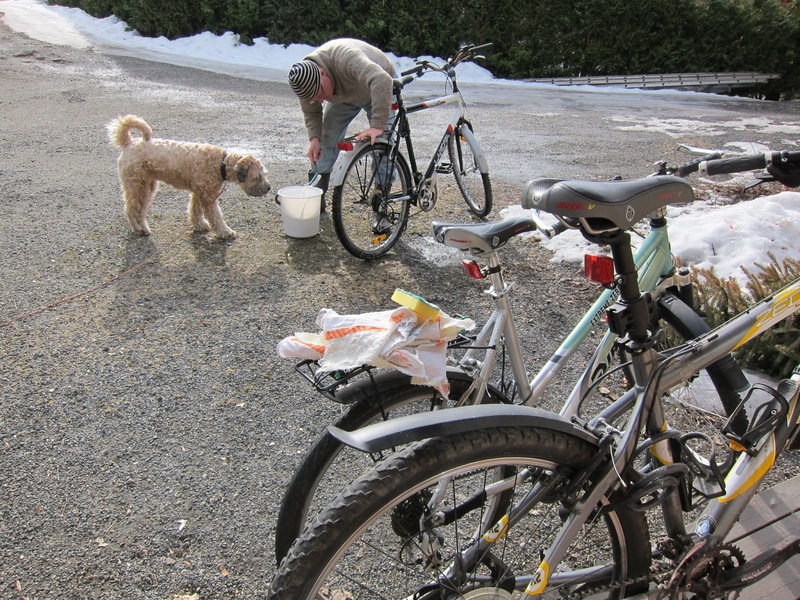 Photo: Arnfinn and Hector, the Wheaten terrier, this weekend, getting our bikes ready for summer.